MTW17S119240M timer with LED display and digital settings from RELPOL enables fast and simple programming of times and a chosen functionality with the use of just two buttons. Digital time setting is error-free, unlike in the case of analogue timers. 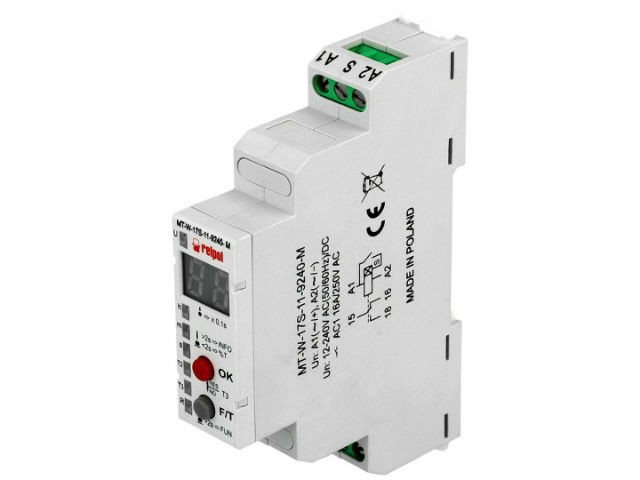 The timer offers 25 time functions, including two service functions (permanently OFF and permanently ON), which together with independently controlled times (T1, T2, and T3) and wide range of supply voltages provides numerous application options, e.g. in industrial automation, building automation, safety systems, alarm systems, air-conditioning and ventilation systems, and many more.